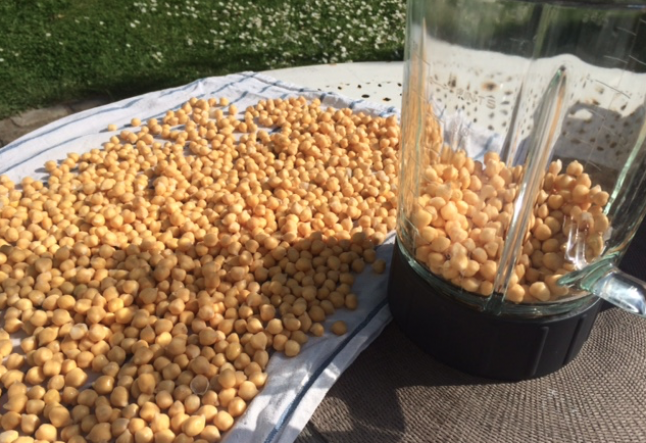 Soak the chickpeas for 24hrs in water. Rinse them and dry them off on a clean kitchen towel. Blend them in a food processor until you obtain a paste. 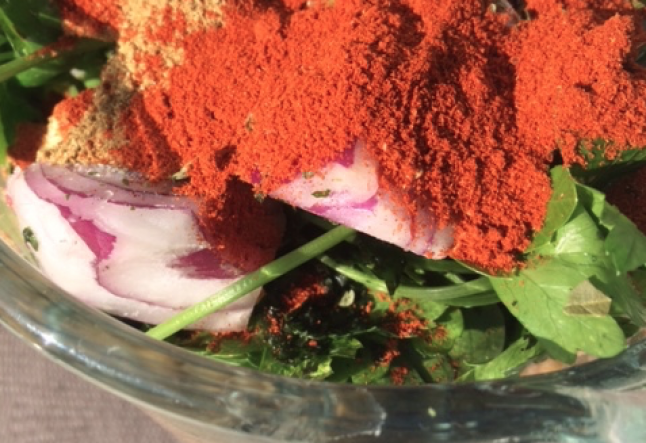 Place the paste in a mixing bowl and add the chili, cumin, coriander and baking soda. Finely chop the fresh coriander, fresh parsley, garlic and onion. Mix well and then add the roasted sesame seeds. Once the paste is ready, make small balls with your hands. Press them slightly with the palms of your hands to flatten them. 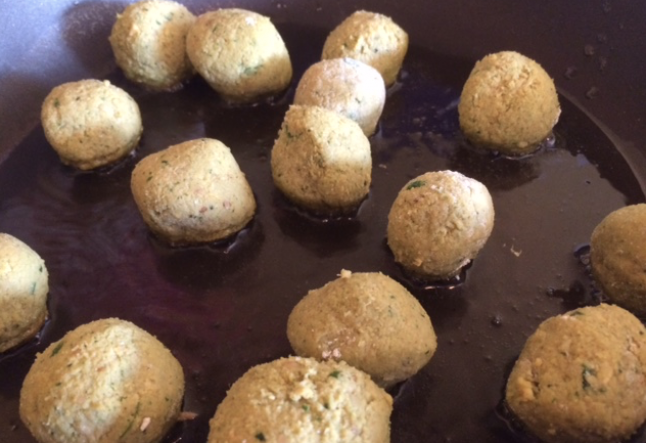 Place each ball one by one in a pan with hot oil to fry them. You can choose to cook them a little longer to give them a more brownish color. This is a great recipe to make in advance and freeze. To serve from frozen, reheat them in the oven for 10 minutes. 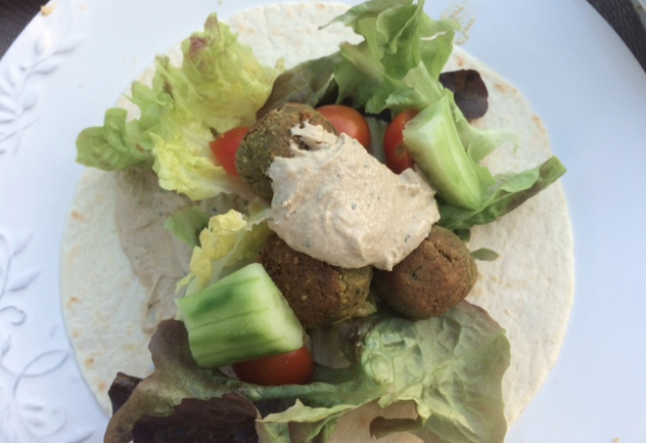 To make the tortilla dish, take a flour tortilla, place the falafel, mushrooms, tomatoes, and arugola inside and enjoy! 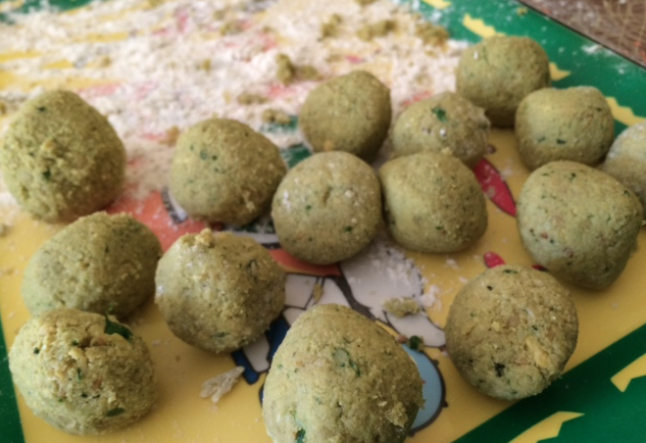 If you want your falafel to have a green color, put the fresh coriander and the fresh parsley in your mixer at the same time you are mixing the chickpeas.